I remember when Seema messaged me on Instagram asking about my availability for her wedding in June, I painfully had to say I was booked up. A few weeks later, Seema messaged me again saying the wedding was now booked for August and I was happy to say, that the date was available! Seema and I spoke for ages soon after and I loved hearing about her wedding plans and getting to know more about her and Kushal. Seema pretty much said to book them in for the day and a few weeks later, when Seema and Kushal came over, we got on really, really well! I knew this wedding would be special. A few weeks before the wedding, Seema excitedly told me about all the small details they’ve put into the wedding and I love it when couples put in the extra touches to make their wedding that bit more personal to them. 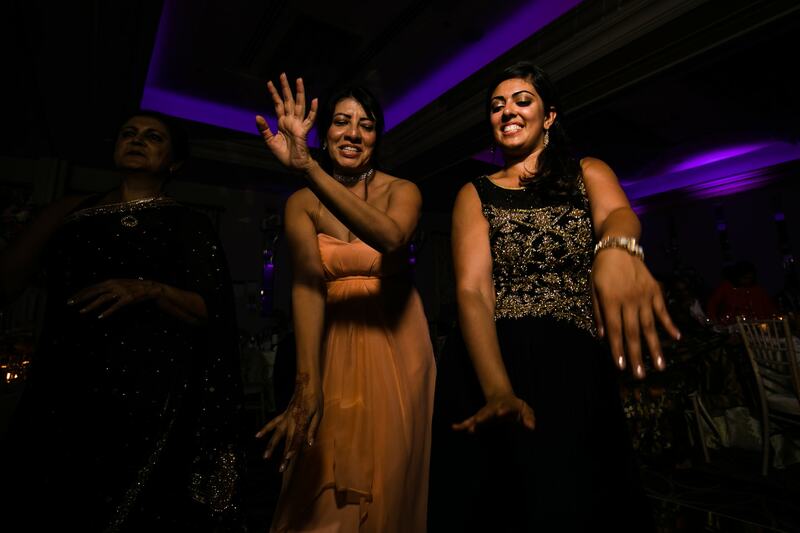 Seema and Kushal’s wedding took place at Sopwell House in St Albums which is a stunning venue! The setup by Shagun Weddings looked gorgeous and I spotted all of the small personal item which were snapped away! I saw Seema while she was getting ready and when her friends and family were in and out and everyone’s reaction to Seema was WOW! It was fun capturing the little moments between everyone who came in to say hi, it’s the little key moments that add to the story of the day. Kushal and his entourage arrived in true style, making lots of noise and dancing before the Hindu Wedding ceremony started, what a top entrance dude!…Kushal looked super smooth with his sisters, all with their sun glasses on and the biggest smiles! The Hindu wedding ceremony was perfectly conducted by Gajendra Mehta and the ceremony was full of fun, laughter and amazing emotion, this is something I really picked up on from the day and loved it! One of my fav shots from the wedding is when Seema hugged her dad after the wedding, the smile on her dad, and the tightness of the hug is priceless! In the evening, it was time to drink up, enjoy the celebrations and party hard! With it being a hot day, the drinks reception took place outside and I remember having to hide Seema and Kushal as we were taking portraits, we pretty much walked pass everyone, but thankfully, not many people saw us, PHEW! As expected, Kushal was ripped apart by the best men and the reactions all around were awesome! When the dancing started, the whips were out along with wigs, inflatable items, hats, glasses, frames, it was a full on rave! It was also great to see other friends at the wedding and my previous couple Anika and Nikhil which is where Seema and Kushal saw my photographs. Seema and Kushal, wow, what an amazing wedding day you guys planned! Every little thing was carefully planned and I had an incredible time photographing your big day. A huge Thank You to you and your families for being incredibly welcoming, I felt more like a friend than just your photographer and I look forward to hanging out with you both soon! Huge Thank you to my Bro Tejas for his assistance on the day! To see more of my recent Moments, you can see them on my Instagram page @sanjaydgohil, my Facebook page , and for those of you on Twitter, please do follow me @sanjaydgohil.